I'm a complete shutterbug, twin mom, yoga enthusiast, lover of all things Broadway, wanderlust traveler, animal lover, and cancer kid advocate. But just in case that's not enough, here's a little more info. I've always loved that the very best photographs are the ones that we could never plan for. And this got me to thinking - what is it about weddings that causes so much emotion? And in the end I have decided that it is simply because family is important. Relationships are important. Love is important. Memories - life changing, crazy fun, heartfelt memories - they are important! So when I capture your day I want to capture every laugh and tear and everything in between. And if you look back at your photos and remember everything you felt - well - then I've done my job. I've been a wedding photographer for 12 years! And somehow, weddings just keep on surprising me. I've learned A LOT and grown A LOT - both as a person and as a photographer since my days in college of developing film in the dark room night and day. And after hundreds and hundreds of weddings and engagements and families I still love everything about what a camera can capture. 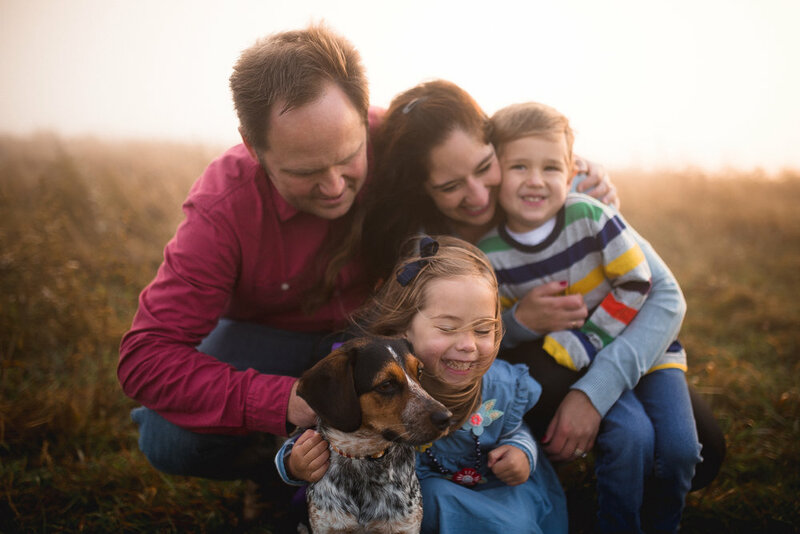 My tribe is made up of five year old twins - a sweet boy and a whimsical girl, a bouncing energetic puppy named Clara, and the love of my life who it all started with - my husband Jay. We've built this crazy life together for the last 14 years but it still feels like yesterday that we got married. It's crazy to think that this journey we've been on started with a simple wedding day. Your journey will start there too and I love photographing your foundation - the place where your family begins. And I love to photograph some babies too when they come along!